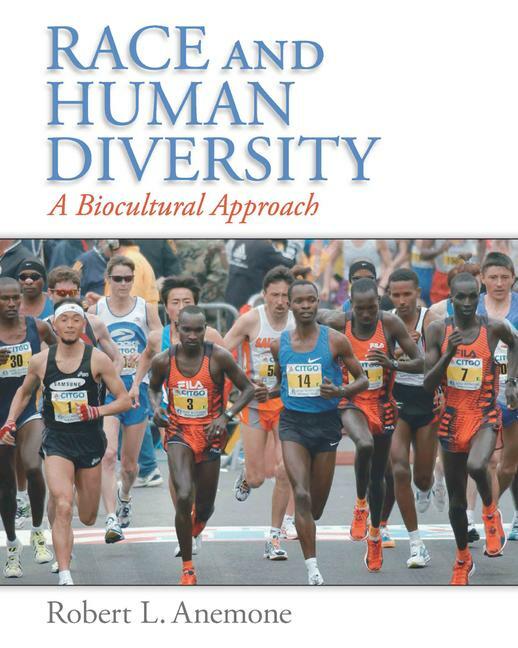 Race and Human Diversity is an introduction to the study of Human Diversity in both its biological and cultural dimensions. This text examines the biological basis of human difference and how humans have biologically and culturally adapted to life in different environments. It critiques the notion that humans can or should be classified into a number of "biological races". 2.6 Box Two: Intelligent Design: a modern Argument from Design? 5.11 Box One: How much heat is lost through evaporation of sweat? 8.7 An evolutionary theory of race? 8.8 Box One: Race and Sports: A Taboo Subject? Robert Anemone is a biological anthropologist (Ph.D. 1988, University of Washington) with research interests in primate paleontology, growth and development and life history of hominoids, and functional anatomy of living and fossil prosimian primates. He has an active vertebrate paleontology research program in the Paleocene and Eocene of the Great Divide Basin in southwestern Wyoming, where he has been leading field crews since 1994. Before coming to Western Michigan University in 1998, he taught at Tulane University and at the State University of New York at Geneseo.